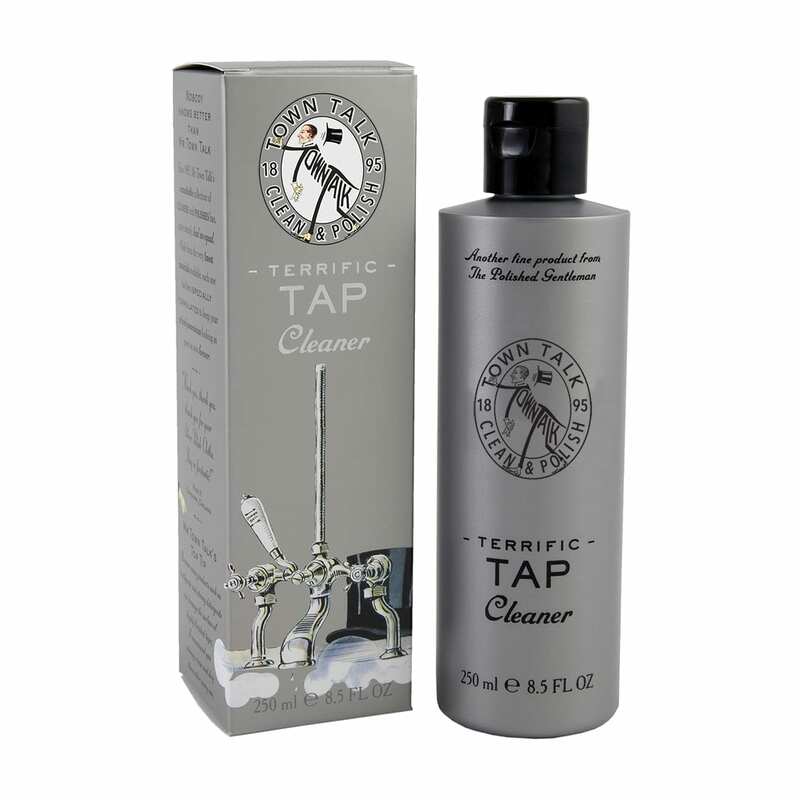 TERRIFIC TAP CLEANER 250ml/8.75fl oz - Town Talk Polish Co. Ltd. This a truly remarkable Tap Cleaner specially formulated for use on chrome, nickel and gold-plated bathroom and kitchen fittings, such as taps, towel rails and shower caddies. It has the power to revive dull surfaces and give them a deep, flawless high-quality shine. Please note this product is not designed to remove limescale. Many of the products we use daily in bathrooms, such as toothpaste or strong detergents, can damage the surface of highly finished taps, so always rinse and dry them after use.